Peter Hegg, CCIM | Chairman of the Board | Hegg Companies, Inc.
Peter P. Hegg chairs the Board of Directors of Hegg Companies Inc. He has extensive experience in the development, acquisition, management, and disposition of real estate, including hotels, apartments and other commercial properties. He served as president and CEO of Hegg Companies Inc. for more than 40 years before his son, Paul, took over executive leadership of the family-owned business in 2002. Peter presently serves on the Advisory Council on Small Business and Labor, which assists the Federal Reserve Bank of Minneapolis. The council helps the Reserve Bank’s Board of Directors by providing perspectives on economic information and reactions to policy positions. He also has served on several other boards and commissions. He is a former chairman and member of the South Dakota Real Estate Commission; a former regent at Augustana College in Sioux Falls, S.D. 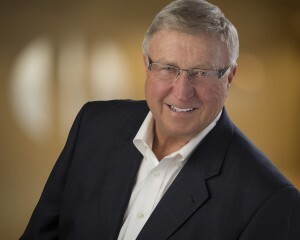 ; former board member of the Sioux Falls Chamber of Commerce; past chairman and board member of South Dakota Diversified Credit Services; past board member of the Days Inn Franchise Advisory Committee; past board member of Days Inns of America Inc.; and a past or present board member of other organizations and companies throughout the region and the United States. He is also a 50 percent stockholder in three John Deere agricultural dealerships in northwest Iowa, and the owner of the Circle H Ranch hunting lodge in Gregory, S.D. He graduated from St. Olaf College in Northfield, Minn. with a Bachelor of Arts Degree and majors in speech and economics. Click here to read about Peter’s appointment to the Federal Reserve Advisory Panel.